J Fenwick Lansdowne was born Hong Kong in1937. When he was only 10 months old he caught poliomyelitis, a disease now largely eradicated thanks to vaccination, but then a scourge popularly known as infantile paralysis. He was left 75% paralysed, in search of treatment, his parents took him to England where he contracted pneumonia and nearly died. His family returned to Hong Kong in time for the beginning of the Second World War where the approach of the Japanese army led to over 1,000 women and children being evacuated to Australia. Edith Lansdowne, fearing the crowded conditions on board the ship would worsen her child’s condition, went to her parents’ home in northern China. Later, Ernest Lansdowne obtained permission to take his family to British Columbia and then returned himself to suffer three years of house arrest and two years internment. After a year in a solarium Fenwick Lansdowne returned to his mother’s home in Victoria, British Columbia where he was confined to bed. His world was then the house and view from his window and it was then that he began to take an interest in the birds that he could see in the garden. His mother, an accomplished watercolourist, encouraged his interest and encouraged him to paint. On fine days would carry him to the garden. She bought him bird books and by the time he was three or four he knew nay bird by its song or flight. Within a year of a series of operations on his spine when he was seven, Lansdowne was able to begin to walk on crutches. His mobility had begun and was to later spend many hours in the field. Lansdowne went to school in Victoria, British Columbia and began to paint birds when he was about 13 years old. He soon determined to make a career as a bird painter and he worked in the summer vacations in the laboratory of the Provincial Museum in Victoria. He learned about birds in the field and encouraged by the staff at the museum he used to go on field trips. They gave him valuable feedback of his paintings and arranged a small exhibition of his work at the museum in 1952. Just before Lansdowne’s graduation some transparencies of his work were sent to Toronto for appraisal. They were seen there by the executive director of the Canadian Audubon Society, John A. Livingston. So much did they impress Livingston that he arranged an exhibition of 40 Lansdowne watercolours at the Royal Ontario Museum in October 1956. Within two years and exhibition followed at the National Audubon Society headquarters in New York and in 1961 he had a one-man exhibition at the Tryon Gallery in London. Some of his paintings were used by Whitbread Brewery for advertising purposes on a calendar and on posters in the London underground. 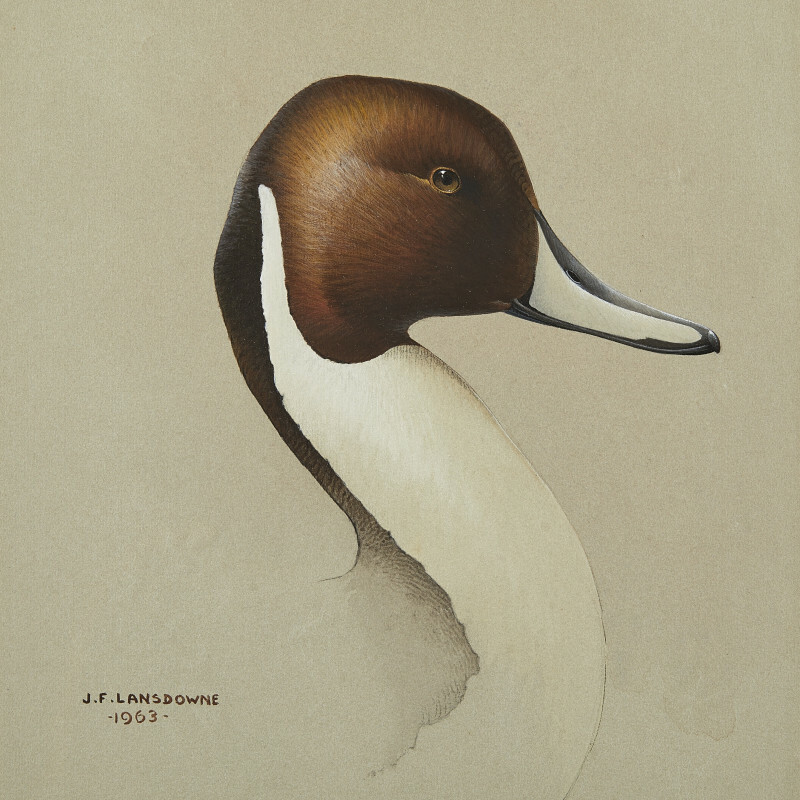 Lansdowne’s book illustrating career began through a collaboration with John A. Livingston on his Birds of the Northern Forest (1966). Another six books followed culminating with Rails.